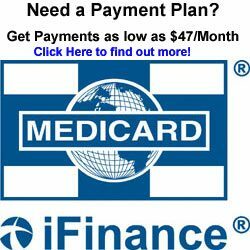 Canadian Residents – We have also brought on Medicard who offers a simple and affordable way to finance any of our equipment and allows you to immediately acquire the product you desire. You pick the length of time you would like and the monthly payment you desire and MediCard will do it’s best to get you that payment. (OAC) Payment could be as low as $47/month. Apply for financing online, it’s easy! Know when your approved usually within 24-48 hours. PayPal Credit (formerly known as Bill Me Later) is a PayPal service that lets you buy now and pay later with special financing terms (click here to learn more). It is a secure, instant, and reusable credit line that does not require you to keep another credit card in your wallet. It is an immediate approval process, so you’ll know right away if you’re approved.